By Melissa Lennig on October 19, 2014 11 Comments. This content contains affiliate links. As an Amazon Associate I earn from qualifying purchases. Have you ever cleaned your family’s toothbrush holder? I mean, really cleaned it? I have, and I couldn’t believe what was inside! In fact, I was so disgusted, I threw it out! Since then, we’ve enjoyed a very simple and sanitary mason jar toothbrush holder in the bathroom. It’s been a smart solution to a disgusting problem—slimey mold and black mildew—that is more than happy to grow within the moist environment offered by traditional toothbrush holders. 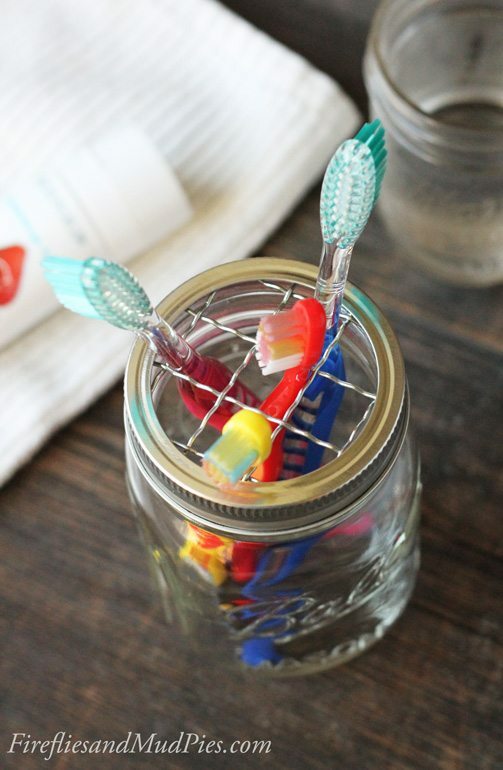 I mentioned our mason jar toothbrush holder about a month ago when I shared a kid’s craft tutorial for pumpkin suncatchers. A handful of readers have written emails asking to see a photograph because they too, are tired of germ-loving toothbrush holders. 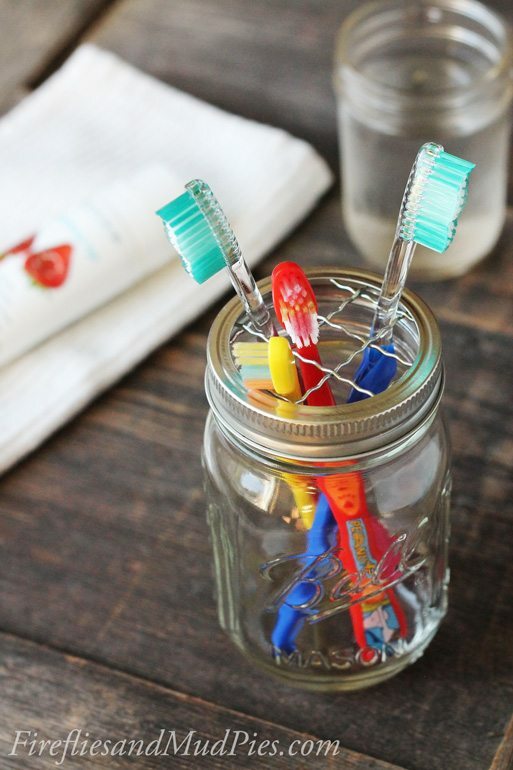 To make your own mason jar toothbrush holder, you will need a mason jar with a ring and a mason jar frog lid insert. The frog lid insert separates the toothbrushes while allowing air to flow into the jar. I change the mason jar once or twice a week and simply toss the dirty one into the dishwasher. So easy and so very clean! Do you have a simple home solution to share? 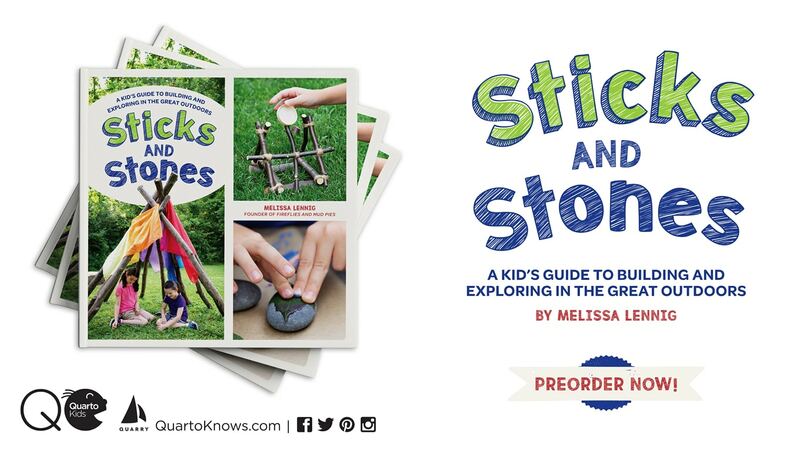 Stop by the Fireflies and Mud Pies Facebook Page to tell me about it! this looks so cool, can’t wait to try it!